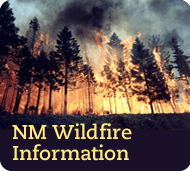 The New Mexico Environment Department’s (NMED) Surface Water Quality Bureau (SWQB) is inviting the public to comment on the draft “total maximum daily load” (TMDL) withdrawal document for the Red River (Rio Grande to Placer Creek). A TMDL is a planning document that establishes specific goals to meet water quality standards in waterbodies where pollutant limits are exceeded. Due to recent changes to the water quality standards and assessment of available data for the 2012-2014 Clean Water Act 303d/305b Integrated List, SWQB proposes to withdraw the 2006 dissolved aluminum TMDL for Red River (Rio Grande to Placer Creek). heidi.henderson@state.nm.us (if possible, please submit an electronic copy in addition to paper). A public meeting will be held to summarize the information and to provide a forum for interested parties to ask questions and provide comments. The meeting date will allow the public time to review the document and generate questions or comments. The meeting will be held in Red River on Wednesday, November 7 from 6-8pm at the Red River Conference Center, 101 West River Street. available electronically on the bureau’s website or by contacting the bureau at the address above. The SWQB plans to request approval of the draft final TMDLs at the Water Quality Control Commission’s (WQCC) regularly scheduled meeting on December 11, 2012. WQCC agendas are available at: www.nmenv.state.nm.us/wqcc/index.html. Persons having a disability and needing help in being a part of this process should contact Connie Joseph at least 10 days before the event, at the NMED, Human Resources Bureau, P.O. Box 5469, 1190 St. Francis Drive, Santa Fe, New Mexico, 87502, telephone (505) 827-9872. TDY users please access her number via the New Mexico Relay Network at 1 (800) 659-8331. For more information, please contact Heidi Henderson at the address or phone number provided above.